If you thought that eating out meant leaving your puppy-eyed canine companion at home, think again. Brisbane eateries have been showing some serious puppy love with more and more cafes allowing diners to feast with their pooch by their side. 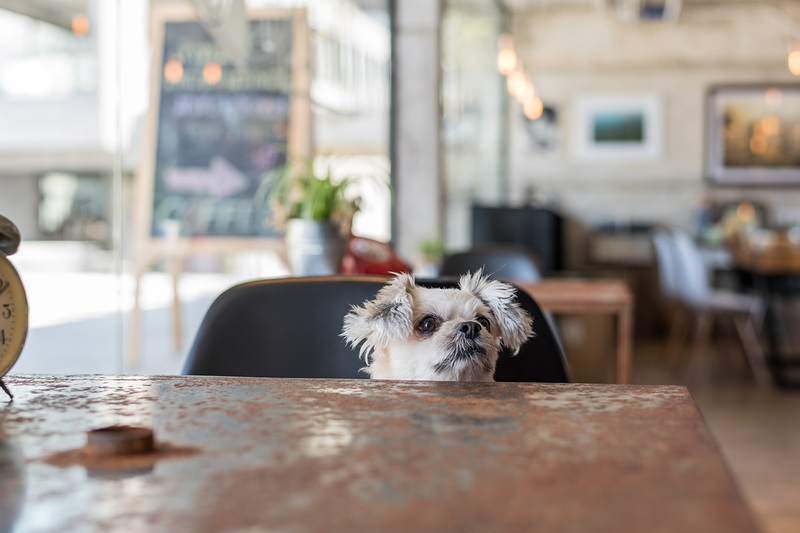 Make no bones about it, whether you’re looking for seriously good coffee or simply want to enjoy a breakfast with a pup at your feet, we’ve tracked down plenty for you and your four-legged friend to discover this weekend. Here are our top picks for the best spots in Brisbane to dine with your dog. You and your furry friend will feel right at home on Atticus Finch’s deck, complete with a special hook for your pooch’s leash and a water bowl nearby. No matter how ruff your day has been, the delectable breakfasts and baked goodies will keep you happy, while your companion will be spoilt with a crunchy puppy treat! 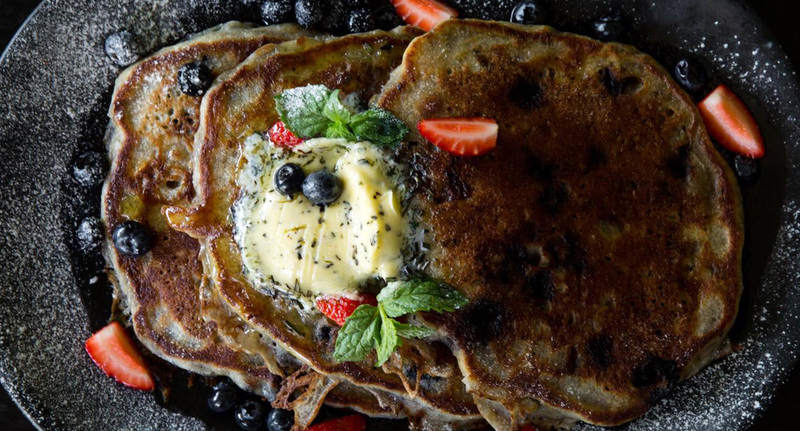 Pumping out all-day brekkies that’ll have you and your pooch drooling, the Rabbit Hole Cafe’s very own pup – Willow – has made puppy lovin’ a priority at this suburban cafe, with canine treats, toys and water on hand. You wanted to go for a walk, but Fido had other plans. After you’ve been taken on a run, Famished on Frasers will replenish your energy with lamington strawberry waffles and ground lamb burger croissants while the pup relaxes on the grass with a bowl of water. If the name didn’t clue you in, you’ve clearly gotten overexcited and jumped right into the menu. Honestly, we don’t blame you: with plates of eggs benny or fluffy potato gnocchi topped in poached eggs, this astroturfed spot is a heckin’ winner. Sibling to the Corner Store Cafe, Pitch and Fork serves up just as tasty treats with less line time. Inside Toowong Park, it’s the pawfect location to kick back with a cappuccino and Lamb Gyros while your furry friend runs free. Cosy up with a cuppa as your pup mingles. While you’re feasting on French toast, eggs benny and freshly squeezed juices, you won’t have to worry about tying your pooch to a pole outside. Owners Josh and Louise combined their love of food and dogs into one passion project, starting a cafe which is both pet and environmentally friendly. For feel-good eats, you can’t go past Little Black Pug with dog-themed dishes and a Korean influence. You’ll find every man and his dog at this New Farm café most mornings, with a carpet of furry pals adorning the entire outdoor dining area most Sundays. New friends and water for them, coffee and delicious breakfasts for you, what’s not to love? Newstead’s pet-pawsitive cafe is a stylish spot to hang out with a few vibrant dishes and creamy coffee. You’ll have to watch out for wandering noses when you’re enjoying duck laksa – but they’ll be content with the park views. Just remember to take them out there afterwards. There’s nothing like a puppy parking area, complete with hooks and water bowls, to make paws-ing your daily stroll for a coffee even more tempting than usual. Let your canine chill outside while you feast on cornmeal waffles and refreshing smoothies inside. Feeling ruff? Grab a morning puppucino at this Annerley spot. With a fenced outdoor area for your pups to roam free, you’ll be able to drop the leash and dig right into that plate of snags, hash browns, and 63 degree poached eggs. Y’know, as long as you don’t mind those puppy-dog eyes watching you. Talk about fetching. This brekky and lunch spot features garden vibes for your morning start or cheeky beer. Whippet the menu for a taste of fluffy Canadian hotcakes with crispy bacon, grilled banana and maple syrup as your pooch enjoys the fresh air. Pig by name, pup by nature, it’s worth taking the time to paws and reflect at this Jindalee café. Sibling to Tingalpa’s Pawpaw Café, Piggy Back doesn’t just win the title for world’s prettiest coffee – they also offer puppy ice creams, flavoured with bacon, peanut butter, and other guaranteed hits. Cosy Bean Bag Espresso might not have much space for running around, but who would want to when you can dig into cupcakes and adorable doggy biscuits for them. Not to mention seriously smooth espressos.